Let’s take a look at how these factors can influence your pool construction. What landscaping should happen before or after your pool is installed? It stands to reason that one of the biggest influencing factors of how long it will take before you are swimming in your new pool, is the time spent making decisions on your preferences. For some people pool planning can be a relatively quick process, but for others it can take months of discussion and design work, especially when a more complex concrete pool is involved. The reality with swimming pools is that once they are in the ground, they are there forever, so it pays to give yourself a comfortable timeframe to ensure the right decisions are made. 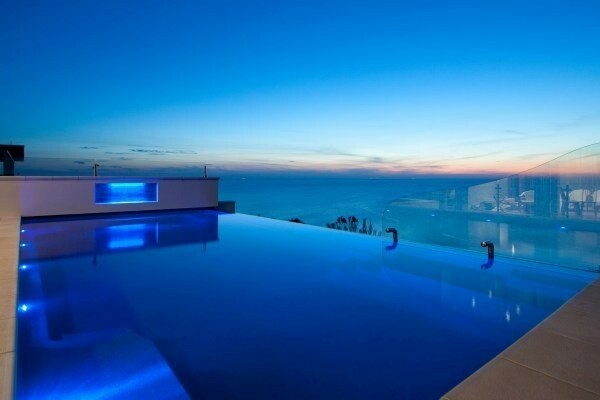 The length of time it takes to build your new pool is heavily influenced by the type of pool you choose. The difference in construction time between a fibreglass and concrete pool can be significant. One of the benefits of installing a pre-moulded fibreglass pool is that the pool shell arrives pre-built. Instead of having a number of different contractors on site for several weeks or more (standard procedure with concrete pools), your fibreglass pool can usually have water in it within a couple of days and the installation completed with a couple of weeks. While one benefit of concrete pools is that you are not limited by shape or size, it pays to remember that concrete pools, especially if you opt for detailed and complex shapes, may take several months or more to complete. Of course, the installation of the pool is only one aspect of the pool project. 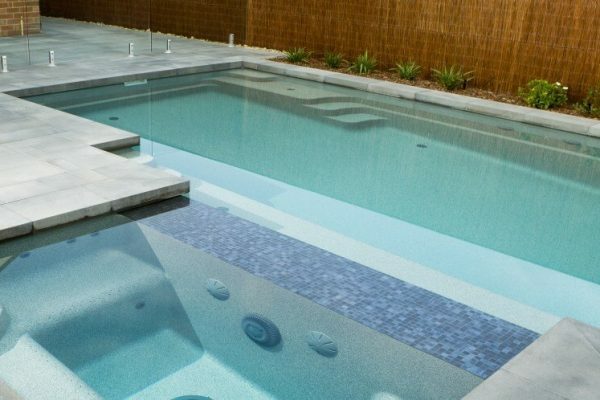 While it may only take a couple of weeks to install a Compass fibreglass ceramic pool, it takes most households between 3 and 6 months on average to feel satisfied that they have completed their pool landscaping. That means that your pool can be up and running while you add the finishing touches at your own pace. As you can imagine, when weather gets warmer more people start to think about swimming pools. In summer time, most pool builders are inundated with enquires from people who want to be swimming in their new pools as soon as possible. If you want to enjoy a lengthy first summer in your newly-built pool it’s a good idea to be talking with your pool builder at the June/July point or even earlier. During February/March for instance, many pool retailers are prepared to offer extra incentives to fill their books for winter. That’s not to say that if you enquire in November (or even December) you will miss out on swimming that season, however it does pay to get in early! Every new pool that is built needs to be passed by the local authorities. Once you have completed your planning process, a development application (or complying development certificate, or permit submission) will need to be lodged. In most cases this is something that your pool builder will do for you (although separate fees may apply). This application needs to show the details of the construction process and outline how safety standards will be met. The processing time for a permit varies from town to town and can also change depending on demand (4-6 weeks is not unusual). As mentioned above, summer is a busy time for the pool industry so processing times during peak season are often at the higher end of the guidelines you are given. The construction of your pool cannot start until approval has been given from your local authority. The earlier your application is submitted the more likely your project will be finished on time. Most pool projects require several different contractors from electricians to concreters, fencers and pavers. The availability of your contractors can also have an effect on how long it takes before you are swimming in your new pool. In most cases your pool builder will have a list of preferred contractors whom they trust and work closely with. From time to time there are elements of a pool installation that will rely on another contractor completing their part of the project first (for example your pumps cannot be switched on unless an electrician has established a power supply). Because of this, we suggest having a firm plan before the project commences. If each contractor knows when to show up and is aware of the scheduled timeline of events, you lessen the risk of having your project delayed. Generally speaking, fibreglass pools can be ready to swim in sooner than you might expect, and our authorised Compass pool dealers typically plan to complete a standard installation in around 10 working days. However, outside influences can delay this process so the earlier you can speak to your pool builder the better, to ensure that your pool is ready to swim in when you are. 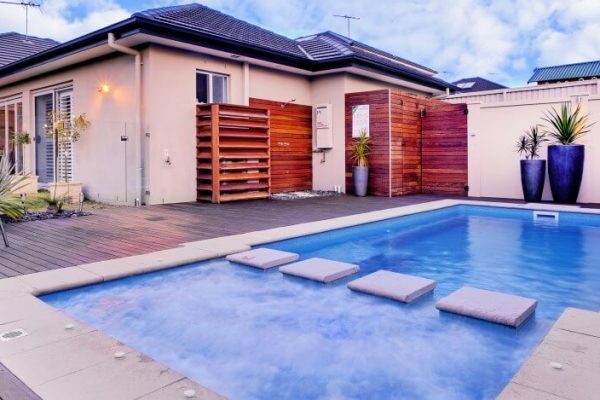 PreviousPrevious post:How to Select the Best Pool Heating for Your Queensland PoolNextNext post:Concrete or fibreglass pool?